Ukraine, Kiev – 2015. 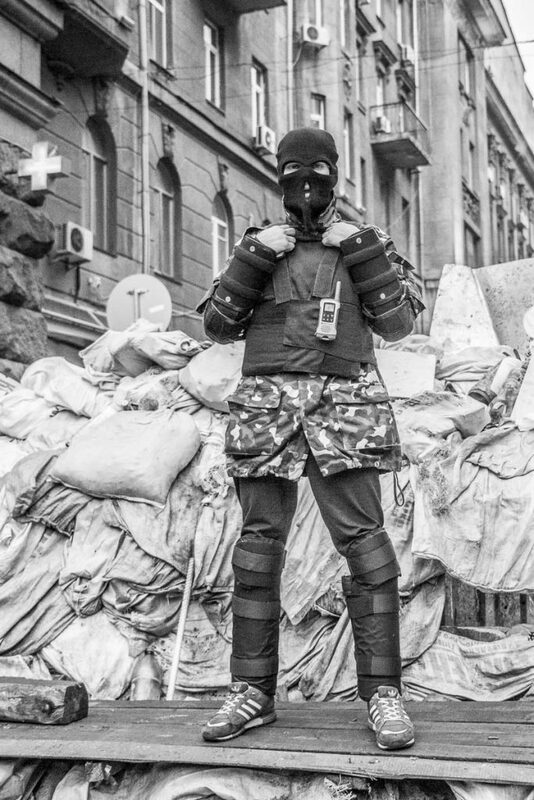 During the Euromaidan revolution of 2014/15, many of the volunteers wore balaclavas or bandanas to hide their identity. For the most part they would have been worried about being identified by government forces.